Sometimes a Copic nib is just too fat and clunky for teeny tiny stamps. Especially with no-line coloring. There’s nothing wrong with going to a tool we all have in our stash: a regular old graphite pencil! Simple colorways…..even shading the colors with grays! The sharp pencil really does serve to add back in much of the detail that was lost early in the coloring! 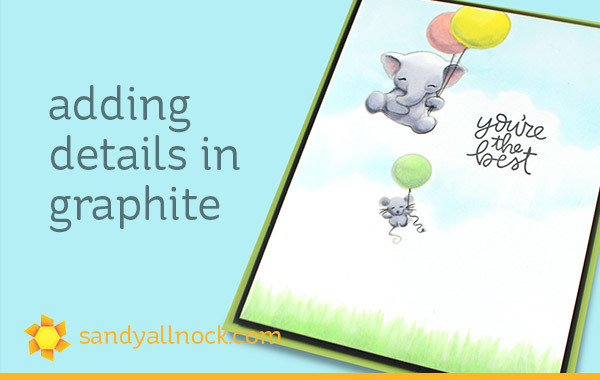 I still love that when we put effort in our coloring, cards can stay nice and simple – I save a fortune on embellishments! 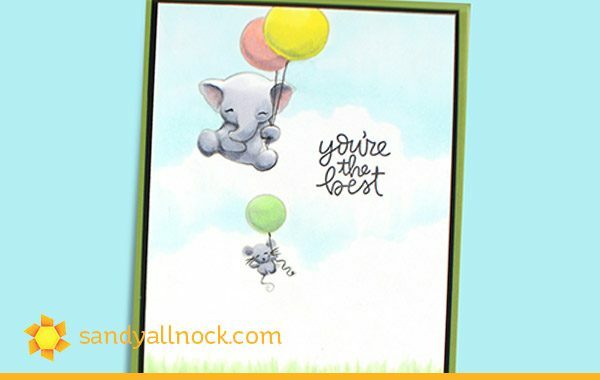 Gorgeous card Sandy, I love how you showed that you can use a simple pencil to shade. Thank you so much for showing and have a great day. wonderful vocal tutorial….gotta love these!! 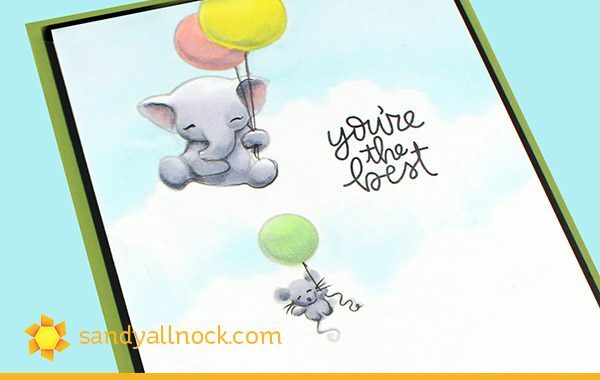 this card made my day, but most of them do; have an awesome day, Sandy! Darling! Thanks for the tips on using graphite. Very useful! Sandy, this is so cute!! So cute! 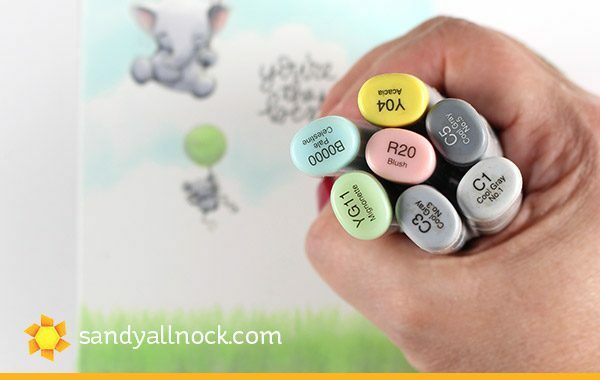 The tiny graphite accents really make this one – and I’m glad to know that Copic markers could smear graphite. Love the soft colors for Spring!